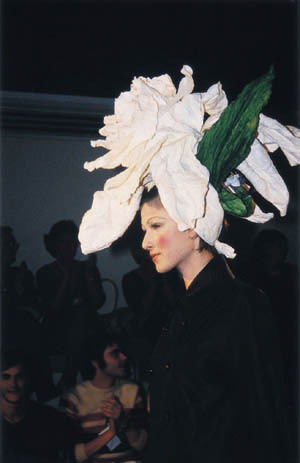 Up until now the most important fashion catwalks in Spain were: Gaudi in Barcelona and Cibeles in Madrid. Important but not very innovative. 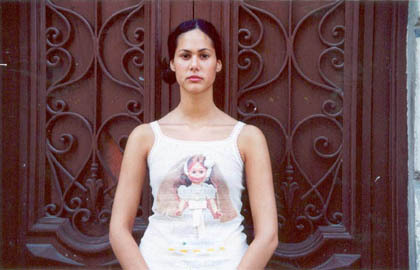 As a result, two years ago, “Circuit” was born in Barcelona, an alternative fashion catwalk run by Paula Feferbaum, better known as Paulinha Rio, whose idea is to promote work by new talents whose designs have no place on official catwalks. “Merkafad” also takes place in Barcelona, an initiative from the ex-designer and agitator Antonio Alvarado, who aims to show the work of designers who have recently come out of fashion design school. The news is that, for the first time, this September these two alternative catwalks will be joined in Barcelona to the well-established Gaudi catwalk, including all of them in the International Fashion Week in Barcelona. This is an attempt to bring together all the proposals in order to export Spanish design abroad. 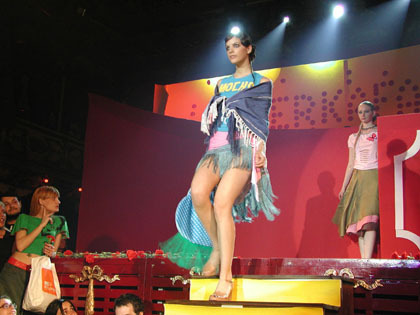 The Cibeles catwalk in Madrid has been left out a little in this attempt to unite spanish catwalks. CIRCUIT VI: This edition focuses on the concept “Aquatic”. Water, the sea, ports, fishermen…The parades will be held in various points in the city. Resident designers such as La Casita de Wendy, Gabriel Torres, Jos Mir and Susana Hergenhahn, Angel Vilda… as well as new talents and two Portuguese designers, Dino Alves and Alexandra Moura, since in this edition Portugal is the guest country. As well as the parades, “Circuit” will also have, as is custom, art exhibitions, live music, Dj’s, and this time round also dance performed by the Flamenco dancer Rafael Amargo. MERKAFAD: A showcase of talents who have recently emerged from design school. A springboard for young designers who are facing their first parade. “Merkafad” is made up of the parade called PasaFAD, on Friday 6th, where designers will display their collections, and MerkaFAD, the following day (Saturday 7th) where the public will be able to buy designs by young talents at affordable prices. This edition has the motto “Je t’aime mon amour”. The designers must put in their best effort and use a lot of feelings, passion and sentimentality in their work. This time round three prizes will be awarded: Best Designer, Best Stylist and Best Model. Each one of them will receive 3,000 euros.